LaCie offers this spare drive and drawer for use with our Ethernet Disk RAID. 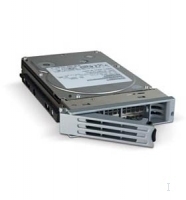 The spare drive and drawer increases security in the unlikely event of a drive failure. You can immediately and easily hot-swap a failed drive. The capacity of your spare drive must be equal to or higher than the capacity of the drive being replaced.